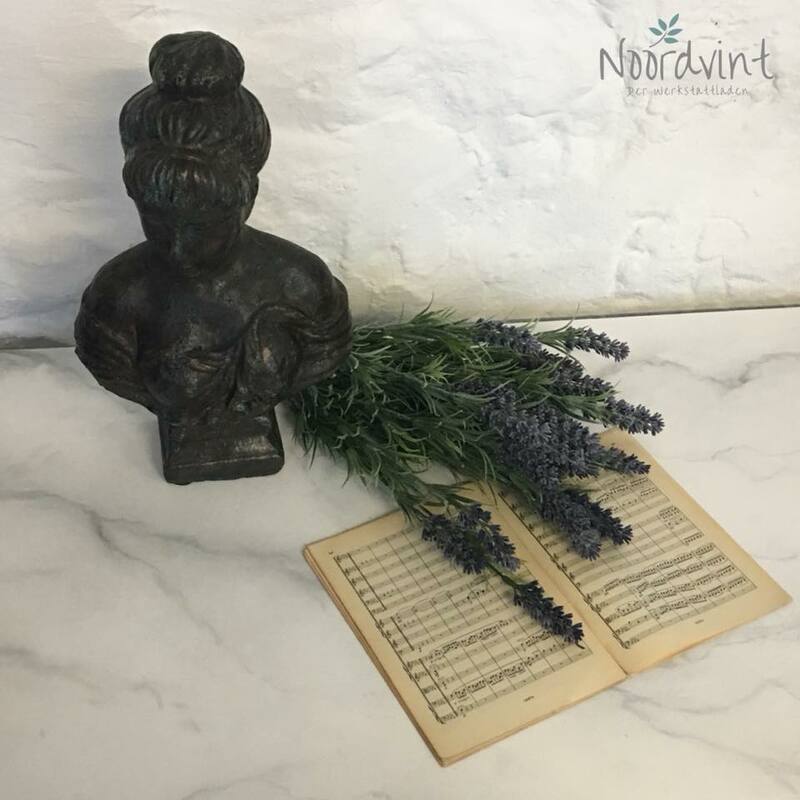 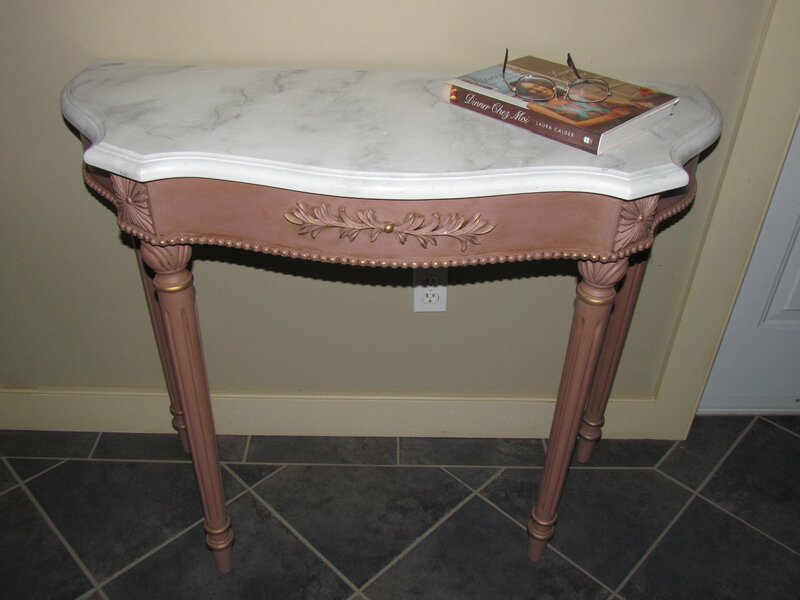 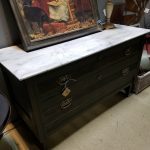 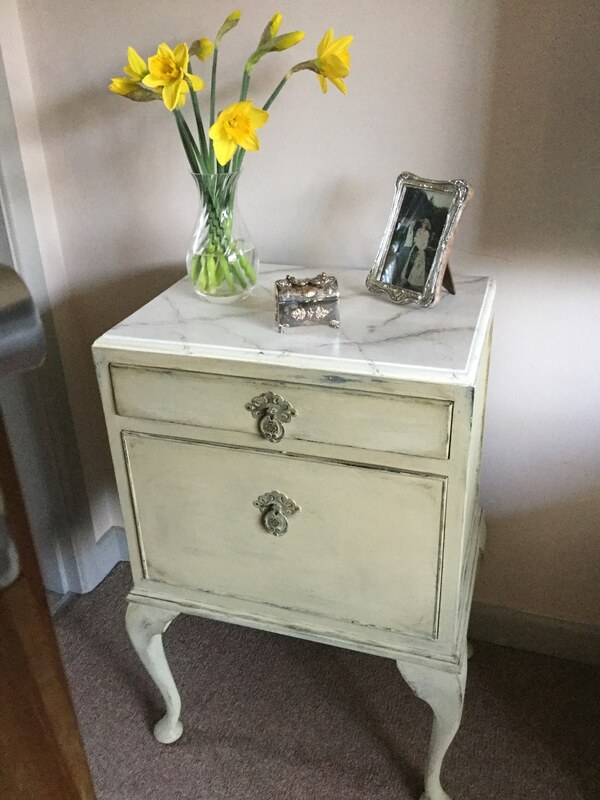 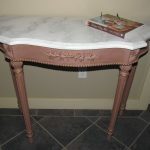 When I first started doing my faux marble technique, I had no idea how popular it would be or how many furniture painters around the world would sign up to take the class and share their amazing results. 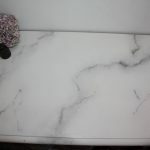 Right now that class is available as a free online marbling workshop, (remember you will need to register in order to see this HD video) and I can’t wait to see how it inspires you. 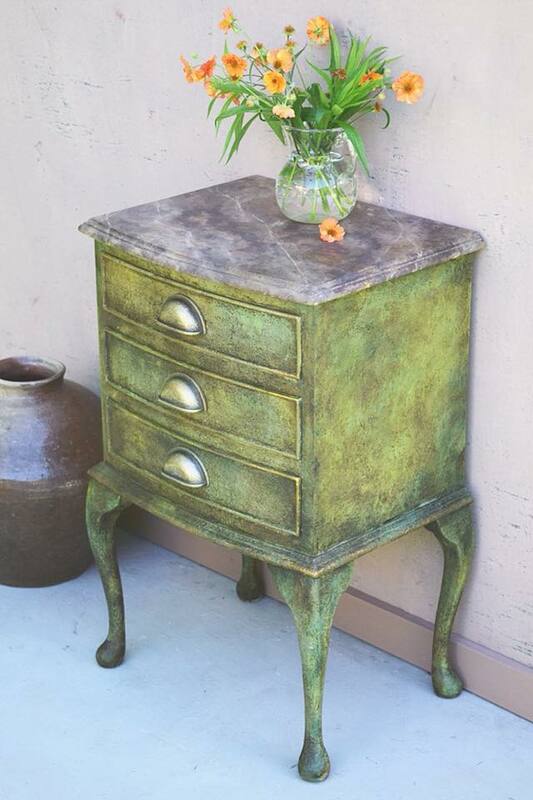 The body of the piece is stippled with texture using Olive with an English Yellow/Olive wash and a touch of Amsterdam Green to add depth. 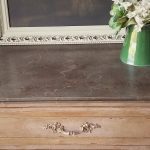 I then hand painted the faux painted marble top in Arles, Honfleur, Graphite and Primer Red with a fleck or two of Country Grey. 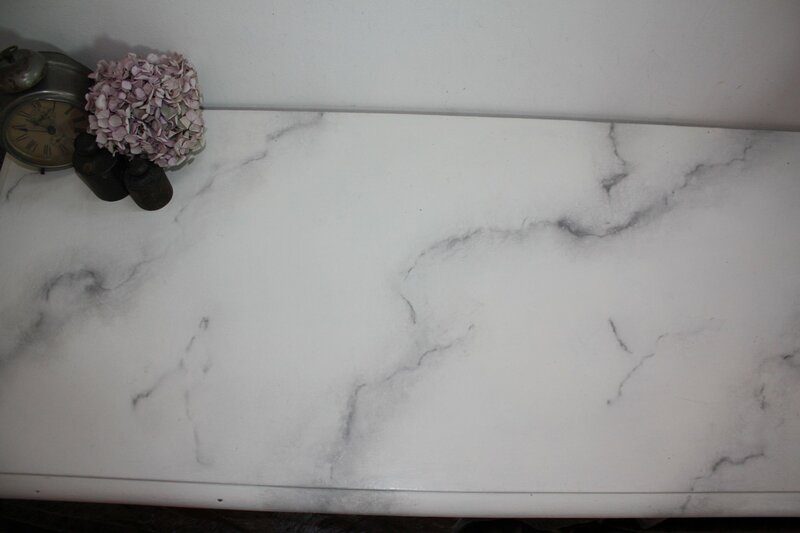 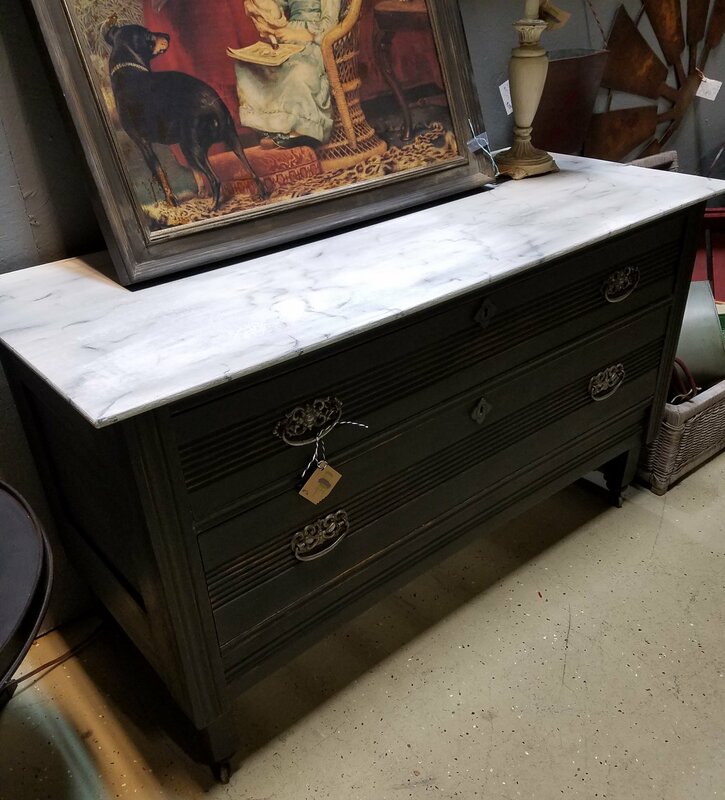 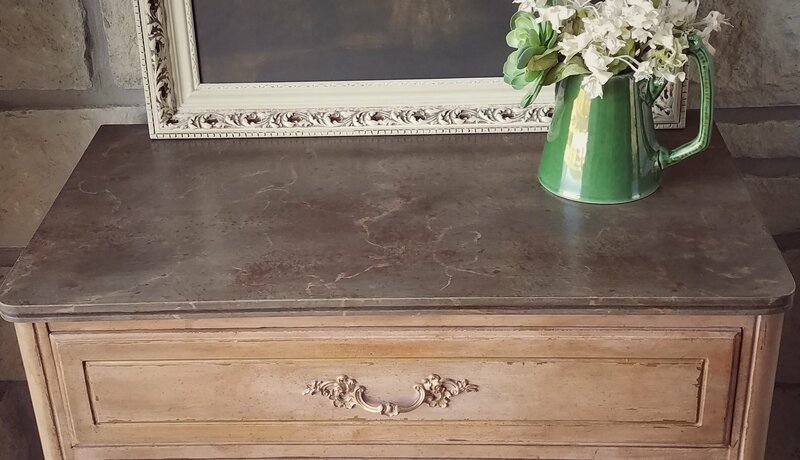 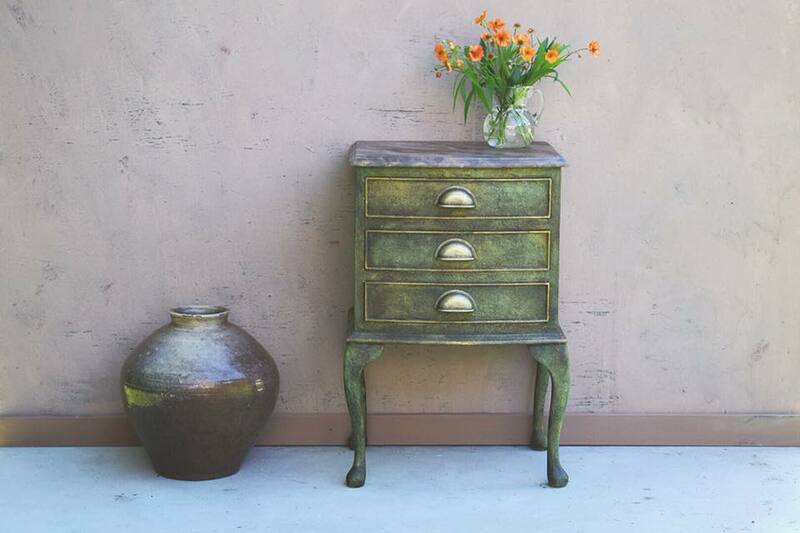 You can also see a Graphite version of a faux marble top on my Chinoiserie decoupage sideboard. 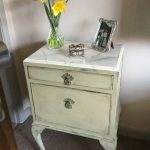 My Marble Technique video is still FREE if you’d like to sign up and have a go yourself…..
and please share your images on Instagram with #paintedloveacademy so I can admire and share your work! 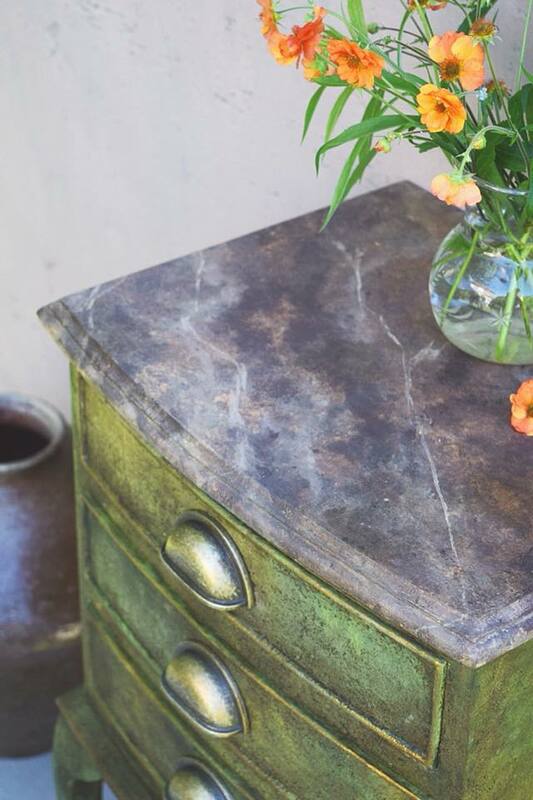 Previous Post Mid Century Modern Cocktail Cabinet – an update!